Collecting information from Facebook profiles is not spying. But using that information to discover elements of their marketing strategy is, well, a little bit like spying. 1. Check out the reveal tab. The reveal tab offers free content to encourage people to Like a company. Check out the free content on offer by your competitor. Does it perform better than your content, receiving more Likes and shares? Does their profile as a whole have more Likes than yours? If either is the case, you may want to adjust your strategy to offer similar types of content on a similar schedule. 2. Read up on customer comments. Sort their wall comments to find what customers like and dislike about your competitor. First, sort their Wall posts to show Top Rated, organized by Most Recent. These comments will tend to be the most widely accepted positive comments about your competitor. To find out customers’ dislikes, just read recent Wall posts. Many people love to complain on Facebook, so you will likely find a few criticisms in the past 100 posts. Try to focus on criticisms that were Liked by other users, as this shows the most prevalent customer complaints. Link.getStats is the Bond gadget of Facebook spies. Most people think that the only publicly available information on their Facebook profiles is the content that they post. That’s far from true. Facebook profiles also log and report activity, visits, and even shares and clicks on links including the root domain. Spying can be hard work! Luckily, there is a tool called Hyperalerts that can keep tabs on your competitors. Officially, Hyperalerts is designed for personal use, but it works as a great spying tool. A good how-to can be seen at Convince and Convert. On some pages, you may also be able to get the data you need by Liking them and setting up an RSS feed for all new content that they post. This is playing dirty, but it works. Watch your competitors’ news posts and Wall comments for a major weakness: missing product features, poor shipping times, server changes, customer service wait times, etc. When something comes up, construct an ad campaign that promises exactly the solution that your competitors’ fans need. Then launch this as a Facebook ad campaign, targeting only customers whose interests include your competitor. 6. Look at historical ad campaigns. You cannot look directly at old ad campaign posts through Facebook, but these days everything on the internet, including ads, is logged and remembered somewhere. The best tool for finding historical ads is Auto Traffic Fast. 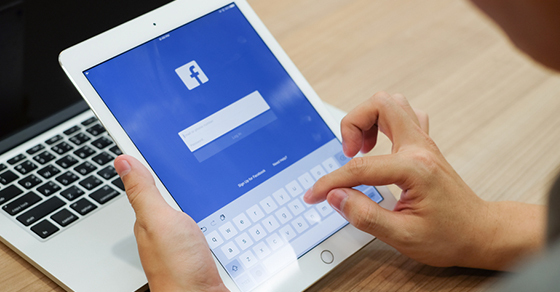 By looking at how a competitor’s Facebook advertising has evolved, you can stand on the shoulders of their years of trial and error.